Okay, I have a little confession to make. When the movie, Life As We Know It staring Katherine Heigl (as Holly Berenson) and Josh Duhamel (as Eric Messner) first came out a few years back, I didn’t go see it even though it was filmed right here in Atlanta. The reason? The previews of the movie reminded me too much of another Katherine Heigl movie I had seen years before and didn’t care for called, Knocked Up. Recently, when I came across Life As We Know It on Netflix, I decided to give it a watch. The movie was okay and definitely better than Knocked Up, but it began with a super sad event as both parents (Alison and Peter) of the baby featured in the movie (Sophie) are tragically killed in an automobile accident. De-pressing! Despite that dark cloud hanging over the rest of the movie, Life As We Know It, did have one thing going for it: a fabulous movie house! And guess what?! 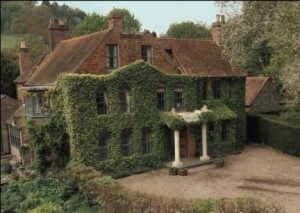 We’re going to tour that wonderful movie house today, with a bonus tour of the real house that was used in the exterior shots and acted as inspiration for much of the interior set of the movie! Let’s get started! 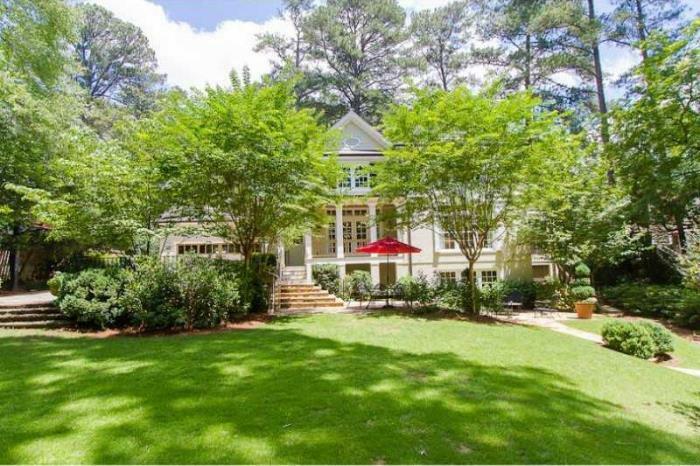 The actual home featured in the movie is located at 4172 Club Drive NE, Atlanta, Georgia, an area of Atlanta with beautiful old homes. 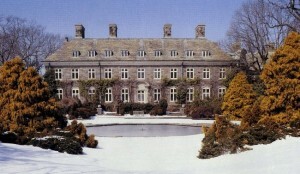 Here’s a view of the front of the home as seen in the movie, Life As We Know It. 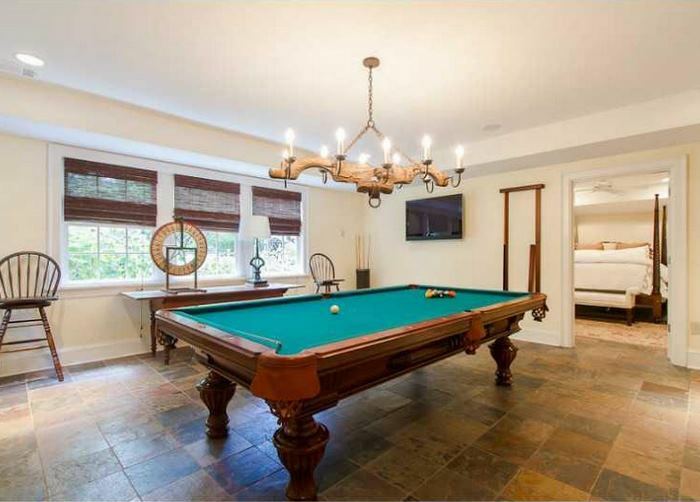 And here it is in real life as it appeared in a real estate listing when it went on the market a few years ago. It is a beautiful home, isn’t it? I love the front porch; even though it’s small, it’s elegant and very fitting for this Colonial style home built in 1945. 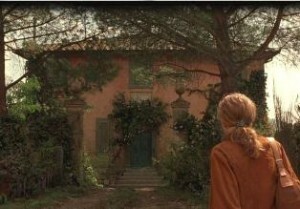 This is a rear view of the home as seen in the movie. Here’s how the back of the actual home looks in real life. Looks like they may have used the table and chairs in the movie and just swapped out the cushions and umbrella. Or, perhaps the owners purchased a new red umbrella by the time the home was listed for sale. Movies are rarely filmed inside real homes because there’s just never enough space to get all the equipment and lighting needed inside a real home. 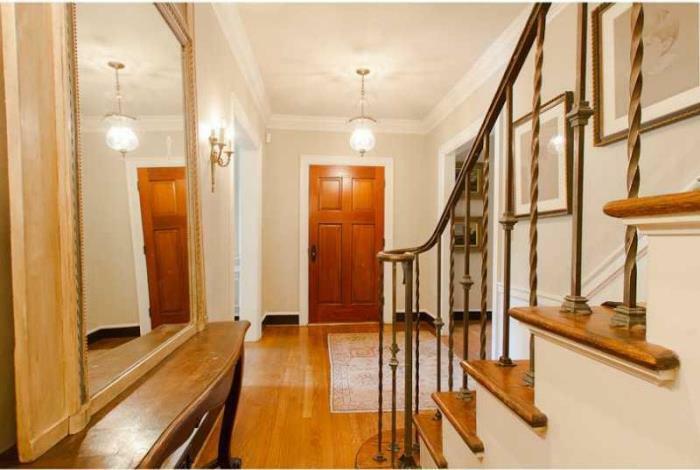 The foyer designed on set for the home looked like this in the movie. Notice how closely the movie foyer mimics the real foyer in the Atlanta home. For the movie it was made a fair amount wider. There’s no way you could get a table on either side of the door in the real home like we see in the movie. Notice how they changed the look of the stair rail, too. I think the wood stair rail is probably more in keeping with the Colonial style of the home, which may be why they chose it for the filming. From here out, we’ll being touring the movie house. We’ll follow that with a full tour of the actual home in Atlanta. I liked this view of the entry with the lamp lit up. The set interior for the movies gives us nice wide views into many of the rooms of the home. Because we got so many great shots like this of the interior while viewing the movie, I fully believe the producers and set designers knew this house was going to be a big part of the movie and a hit with the audience. Virtually the whole movie takes place inside the home so it’s definitely another “character” in the movie. I’ve never seen French doors done like this, but I love it! It’s kind of like having sidelights for doors. In this scene, we get a view of the living room when a CPS (Child Protective Services) worker visits to assess Sophie’s living situation. Without going into a long explanation of the story behind the movie (see Wikipedia for that) the gist of the story is that after Sophie’s parents (Alison and Peter) are killed, Holly and Eric get a big surprise when they find out they were made co-godparents of Sophie in the will. Holly and Eric are like oil and water, about as different as it gets. On top of that, they can barely stand each other. So things get interesting when they try living together as caregivers/parents for Sophie. Another view of the living room during a birthday party to celebrate Sophie’s first birthday. Love all the built-in shelving and the French doors we see throughout the movie. Much of the lighting in the movie is very subdued. That may have been intentional to fit with the somber story-line of the movie. Here’s we get a view into the dining room. Several of the rooms have beautiful coffered ceilings. We get a view into the kitchen in this scene with Alison and Holly, a scene that obviously takes place prior to the car accident. I really liked the kitchen in the movie. I’m crazy about white cabinetry, especially when combined with glass-paned doors. One interesting tidbit about the movie: Did you know they used triplets for Sophie’s part? Their names are Brooke, Brynn and Lexi and they are absolutely adorable! The interior is nice and open right through to the breakfast area. Notice the rock fireplace there on the left. 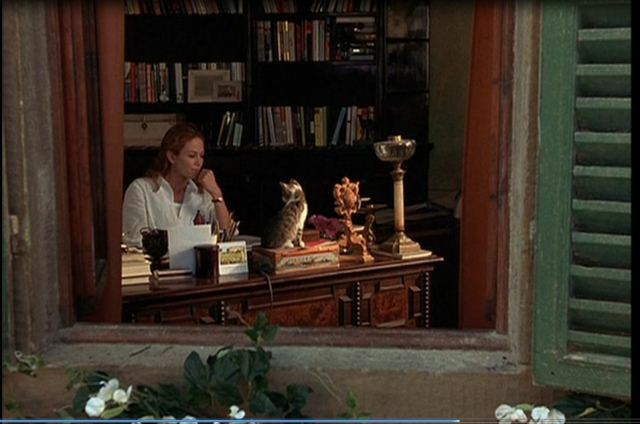 I always love it when movies do this, give us a view into the home as if we’re passing by and just happen to get a peek inside. We don’t get a lot of views of the upstairs of the home. This was the best view we got of the master bedroom. Love how they put a fireplace in the master…so romantic but unfortunately wasn’t lit for this scene. I never could get a great shot of nursery, but I managed to snag this one view showing the ceiling that’s covered in fluffy white clouds. Ready to check out the real home in Atlanta, the home that inspired much of the interior for the house in the movie, Life As We Know It? 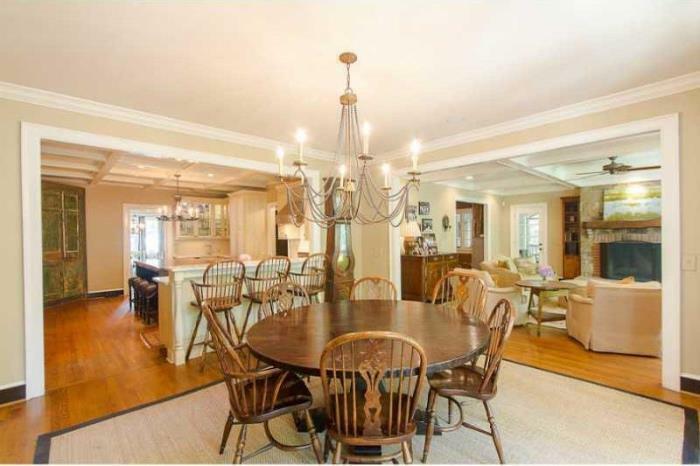 When it was placed on the market a few years back, it was listed at $1,549,874. It’s two stories with a full basement, has 5 bedrooms and 6 baths. It’s located in a very nice area of Atlanta know as Brookhaven. Here’s the foyer again as seen earlier. I guess this is the “formal” living room. 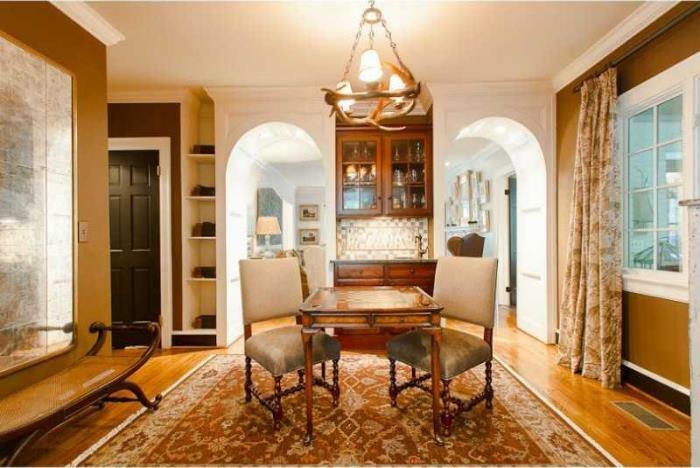 Love those deep, arched doorways! Why don’t we build houses like this anymore?! I’m not quite sure what this room is…maybe it would make small library with the addition of bookshelves. 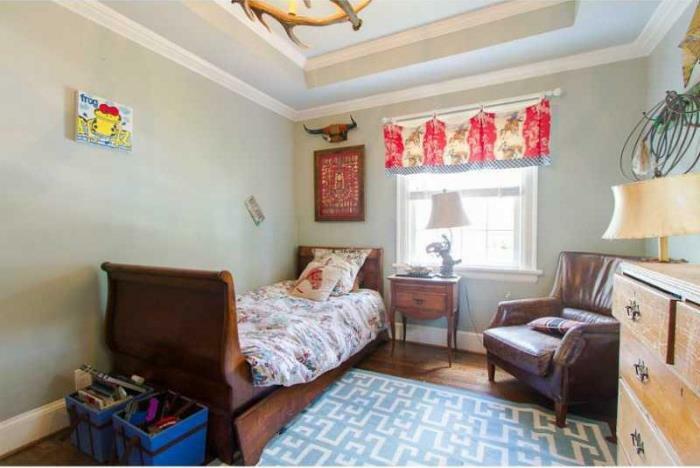 Love the coffered ceiling and the Buffalo plaid draperies. 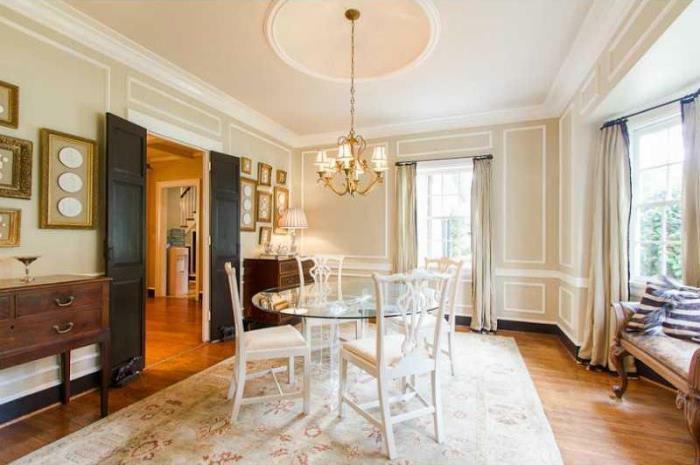 There’s a formal dining room with a beautiful bay window. 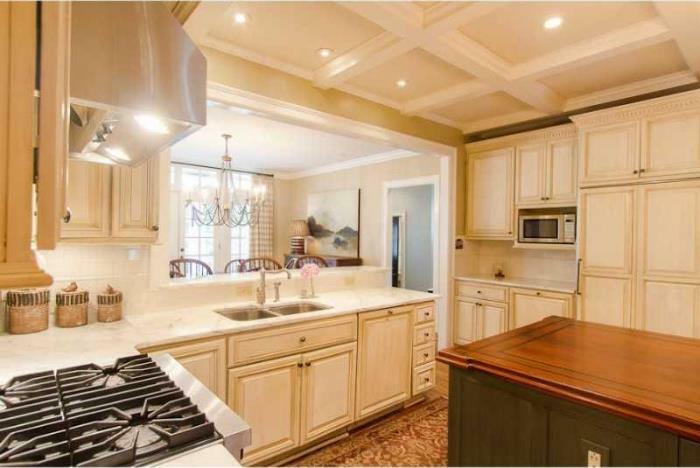 The kitchen in the real home is very different from the one in the movie. 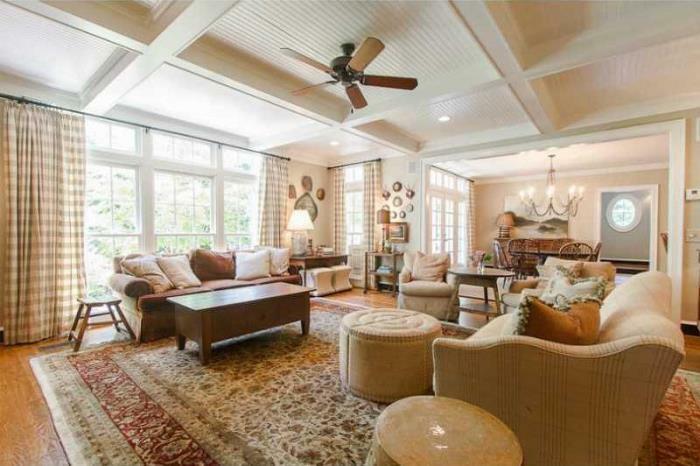 We see more of those wonderful coffered ceilings. The home went through a renovation in 1995 so that may be when the kitchen was remodeled. 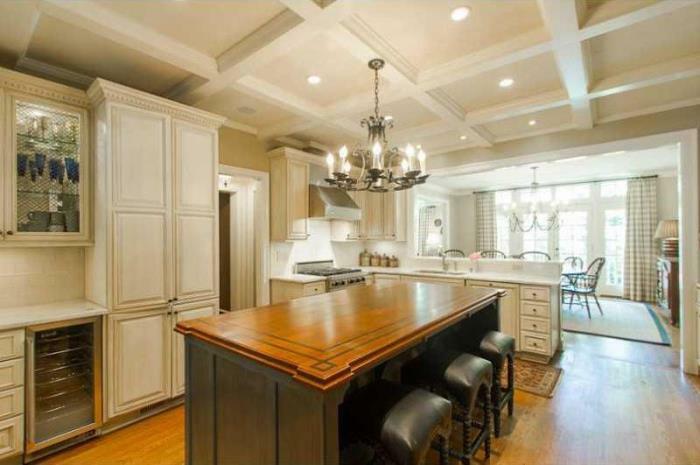 It’s a beautiful kitchen, just different from the movie. The view from the breakfast area, looking back through the home. It has great flow for parties, doesn’t it? I always think about that when viewing the interior of a home. 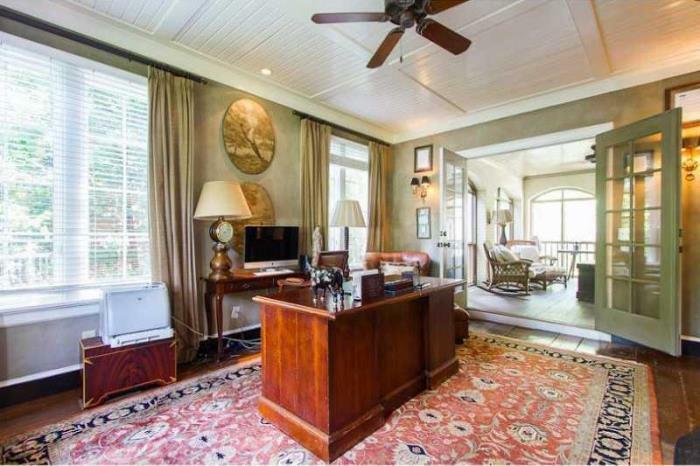 The office/study overlooks a beautiful sunroom. This appears to be an outdoor porch that was closed in at some point to make a sunroom or sunporch. 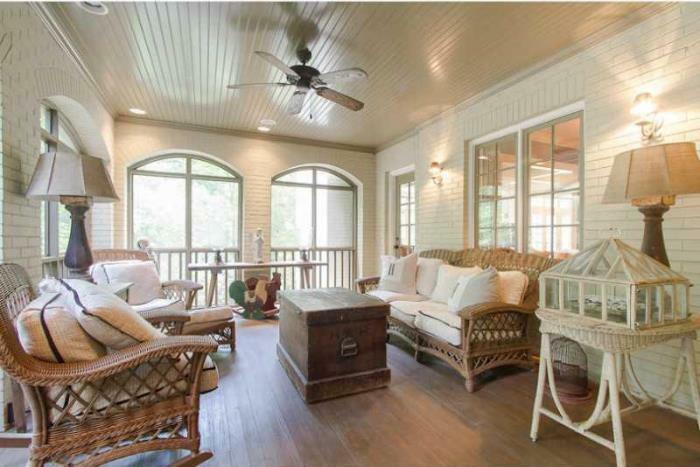 Pretty sure those aren’t screens in the windows because that doesn’t look like an exterior grade fan, which is what you would need for Atlanta’s hot, humid summers. Love this room! Let’s head upstairs and check out the bedrooms! 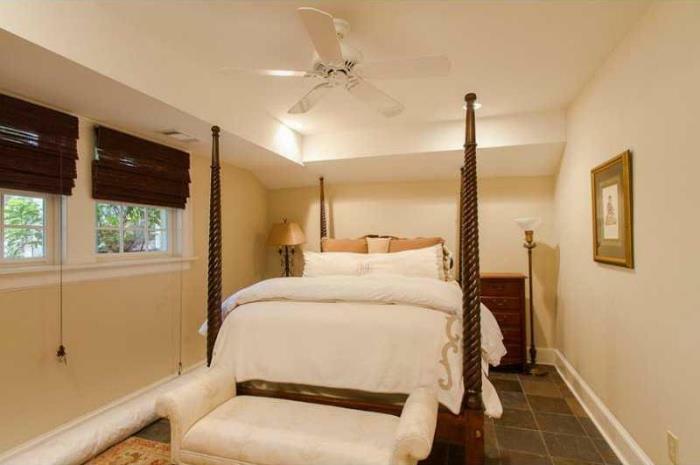 The master bedroom has a beautiful bed and vaulted ceiling, much bigger than the master bedroom in the movie! 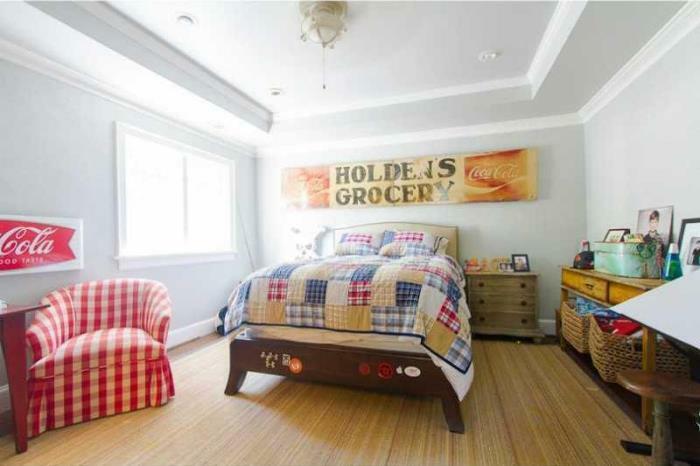 A third bedroom has a single-size sleigh bed. I never realized sleigh beds were made in that size, I always see them in full size. This one looks antique, too. 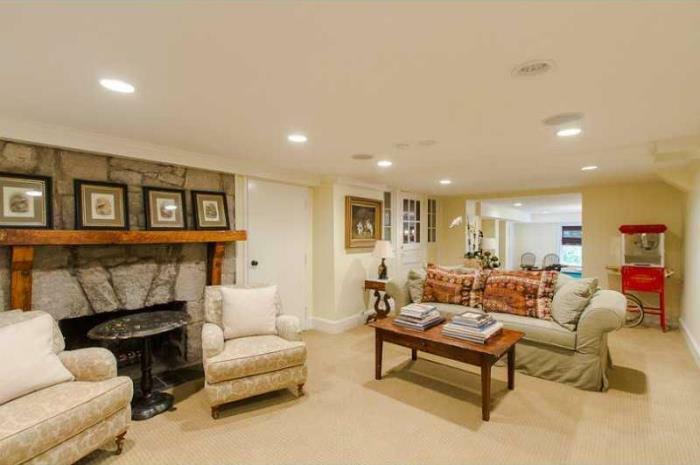 This home has a fully finished basement or terrace level. There’s a pool room and a fifth bedroom on this level. Wonder if this was used as the guest room? Here’s a broader view of the backyard…lovely house! 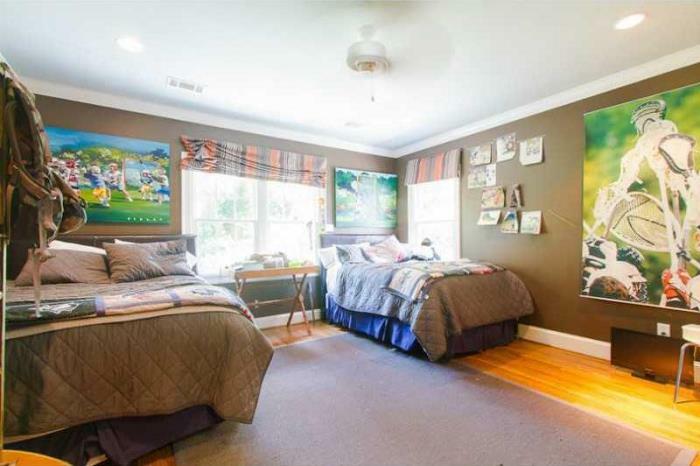 You’ll find additional photos of this Atlanta home at the real estate listing, HERE. I love the inside peeks of houses,too! We are visiting and staying downtown Savannah. All the homes in the historic area are very close to the sidewalk and takes real willpower to NOT peek inside. It’s killing me! If you’re in Savannah, check out Savanna Inn B&B. Love it! It’s only a block or so away from the Mercer House from Midnight in the Garden of Good and Evil. Makes me want to read the book, again. Back when the book had just come out (the movie hadn’t been made yet) I was there with my husband and son. Chip and I took the “Midnight In The Garden of Good and Evil” tour” while his dad was in class during the day. It was a great tour and I loved seeing Bonaventure in person, truly a beautiful place. We also ate breakfast in Clary’s Cafe a couple of times and shopped in the bookstore mentioned in the book where they autographed my book on the page where they are mentioned. That was so much fun. :). We also got to hear Emma Kelly play the piano and she autographed my book. Super sweet lady! She played herself in the movie, playing the piano at Jim Williams big party. 🙂 That trip was a lot of fun. If you need your “Midnight In the Garden of Good and Evil” fix while there, you can take a tour of Mercer house here: https://betweennapsontheporch.net/midnight-in-the-garden-of-good-and-evil-touring-mercer-house/ Are they still letting folks tour Mercer House? I toured it on another trip down with a friend a few years ago. It was amazing to see in person! So beautiful but still livable. Just give me that sunporch; someone else can have the rest of the house. lol That reminds me of what I always tell my son when we talk about house hunting. I told him that I want a big screened porch and a large butler’s pantry…that just happens to have a house attached. I loved this movie and I always watch it whenever it is available…I like you try to pay close attention to the house and the details…it is such a gorgeous home (real and movie life)….I love the back of the house and the beautiful property…Such a cute movie…Love your movie houses posts Susan!!! Thanks ..so enjoyed this! Thanks, Shirley! I was so surprised to see the backyard, too and how big it was. 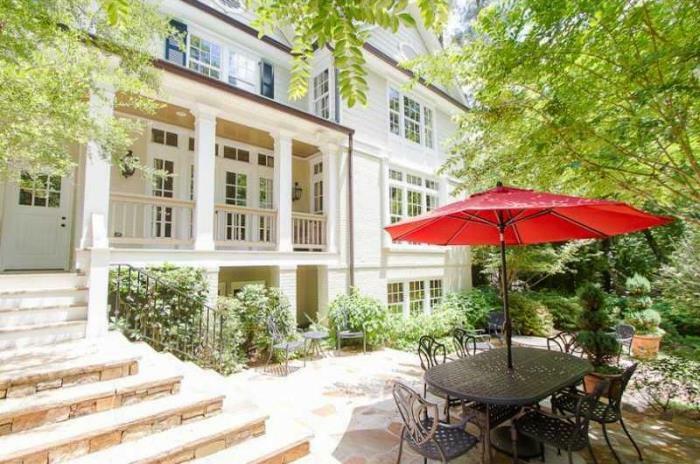 Most of those old homes in Atlanta have backyards that go waaaay back and are beautiful! Enjoyed touring this home very much, Susan! It is elegant and not overdone. So many beautiful details everywhere! Now I want to see the movie! Beautiful home, both real and imagined. 🙂 I do prefer the movie set interior though. Love, love, love those French doors with side extensions. But why is it that movies always have everybody living as though they’re millionaires? 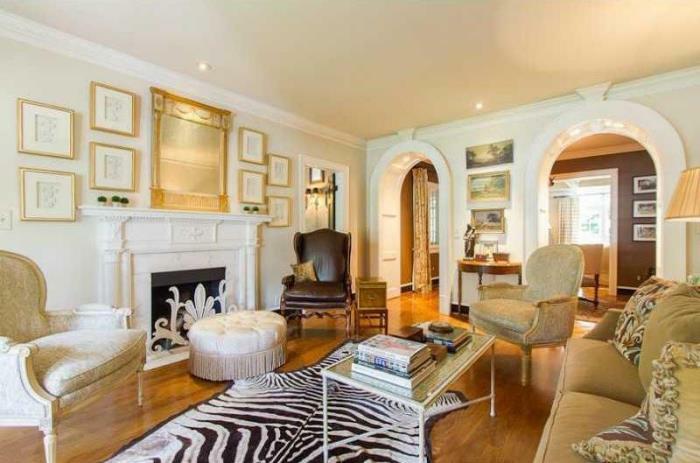 Even in comparatively affordable Atlanta, that house would be too costly for most people. Bah! Oh well, it’s just a pet peeve of mine. The pictures of the actors on the upper stairs landing puts me in mind of Home Alone, which had a similar landing and huge Palladian window. But Susan, that room in the real home that you suggested might make a nice library — what is that on the left wall? Is that a painting? It’s hard to tell but it almost looks like a window into another room because it appears to have depth. That is one thing I like about French homes, how the rooms will often have architectural glass panes separating them. It makes for an open, but very cozy appearance. Great tour. I probably won’t ever see the movie but I sure did love the house. Thanks. After touring homes all day in Edenton, NC, http://edentonpilgrimage.org/index.php it was still fun to come home and find your post! I love all the details you provided. Great and interesting post. Love the outside of the house! Another winner Susan, although I preferred the kitchen in the movie. All these Southern names of towns, make me sad I have not visited there. It is on my bucket list, but we always seem to be going elsewhere. I want to sip mint juleps on the lanai. A friend of mine has just moved from a house in South Carolina where she had trees dripping with moss and a *gator* in the swamp at the bottom of her property. Thanks Susan,that was a great tour,i love to tour houses to see what they look like and to dream. What a BEAUTY! Loved the arches and I agree with the comment, I like the movie kitchen much better — it makes the real kitchen look a little drab. Did you notice the difference of the railing when the actors are on the landing? It’s wooden, while the railing going down the stairs is rod iron. Would you call that a blooper? ha LOVE the backyard scene also. What a MANSION, (not house -ha). 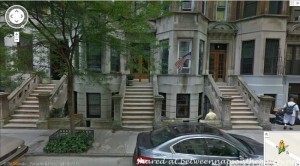 Now I’ll have to visit the Mercer house site you mentioned as I’ve never read the book or saw the movie. Thanks for the great tour. I just realized they are green, not black! I still like the idea of black shutters with that color siding.